Looking for the best blog theme for you? Then you need to look no further. Here we have selected the 10 Best Free WordPress Blog Themes for you. Choose any one from the below and you are well on your way to start a blogging website. 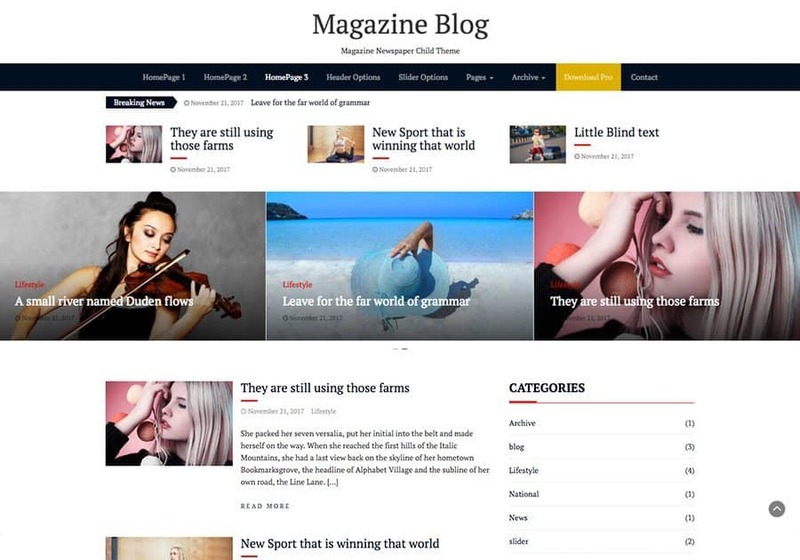 Magazine Newspaper is built for newspaper, media, magazine related project. This theme is a minimalist and fully responsive multipurpose theme with full WordPress Customizer integration, that enables you to customize your website with live preview. This theme is very lightweight and easy to use. 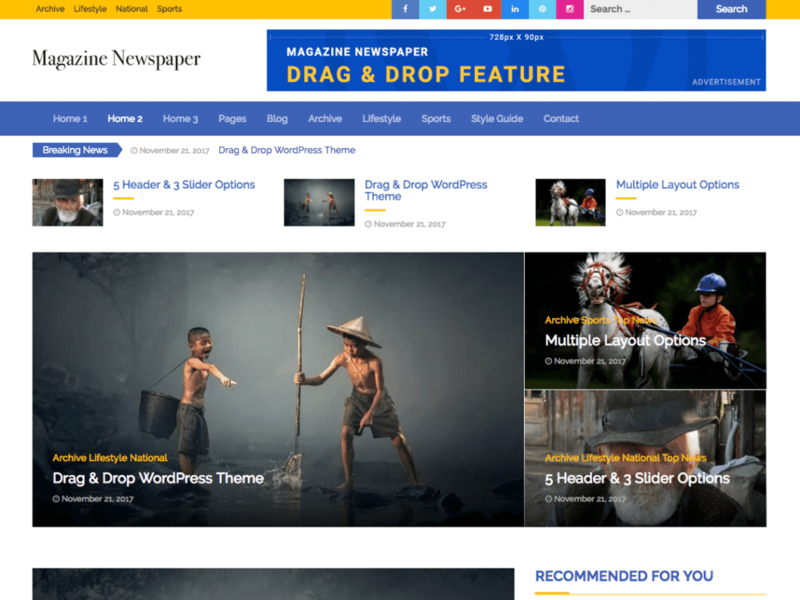 This is one of the best WordPress theme designed for newspaper, news portal, news website, magazine, lifestyle, blog, bloggers, photographers, personal portfolio, travel bloggers, small medium and large scale businesses, corporates, lawyers, restaurants, weddings, colleges, universities, hotels, churches, salons, fitness, resorts, e-commerce, businesses, creative freelancers, professionals etc. and also supports woocommerce. We provide you free WordPress theme that is SEO friendly and customizable according to your necessity and desire, which helps you make a positive impression on potential clients by showcasing your visual works in the best possible way. 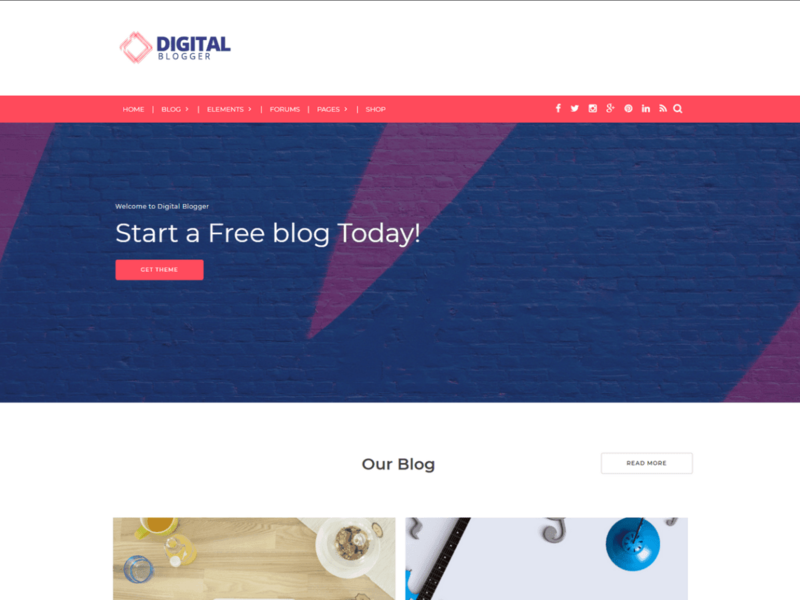 Dblogger or digital blogger is a free WordPress blog theme with a clean layout and responsive design. It has full woocommerce and bbpress plugin support and is for digital bloggers, personal blogs etc. 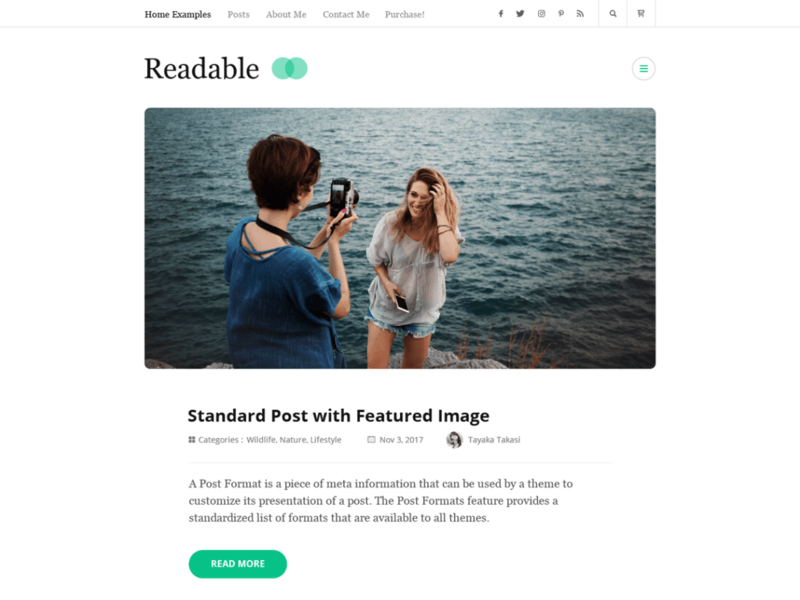 Rara Readable is a clean and minimalist free WordPress blog theme. The theme is designed for distraction-free reading and focuses on better user engagement and experience. The theme is easy on the eye and a pleasure to read with its clutter-free design focused on the content with neat fonts and subtle color scheme. It is also lightweight. 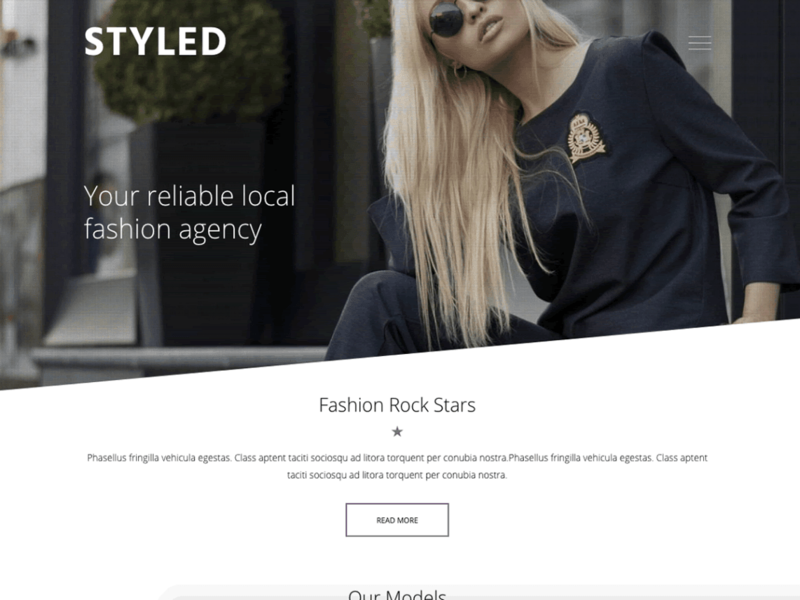 Styled Lite is a clean and professional WordPress theme that will make your website stand out from the crowd. It has a minimal design and a balanced layout. It is perfect if you want a simple blogging website while still looking professional. 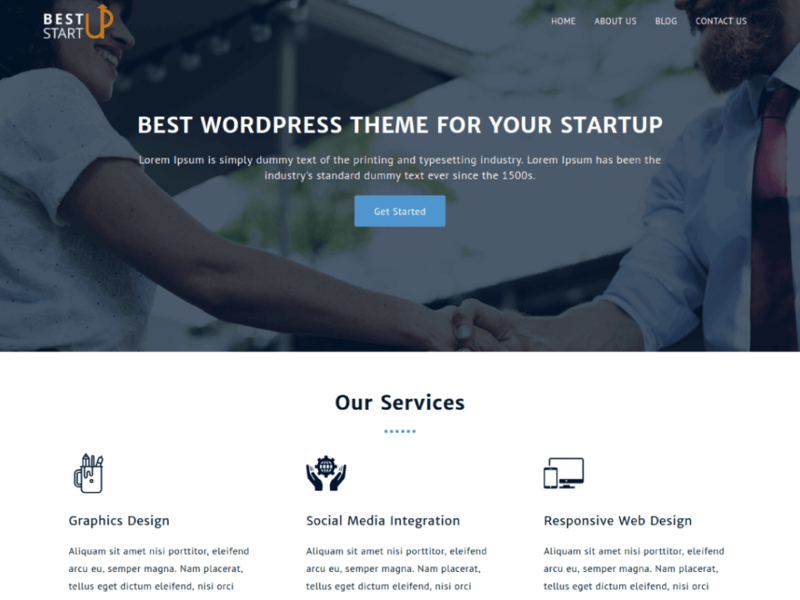 Best Startup is a premium quality WordPress theme mainly designed for online startups which need high-quality websites quickly. However, it can be used for blogging too. It will give your website a more professional look. Blogzine is a minimalistic WordPress theme dedicated to blogs. It provides you with a responsive layout with unlimited colors. It allows you to change the way you introduce posts for pictures and texts for an appealing look. It has a modern, clean and colorful look. 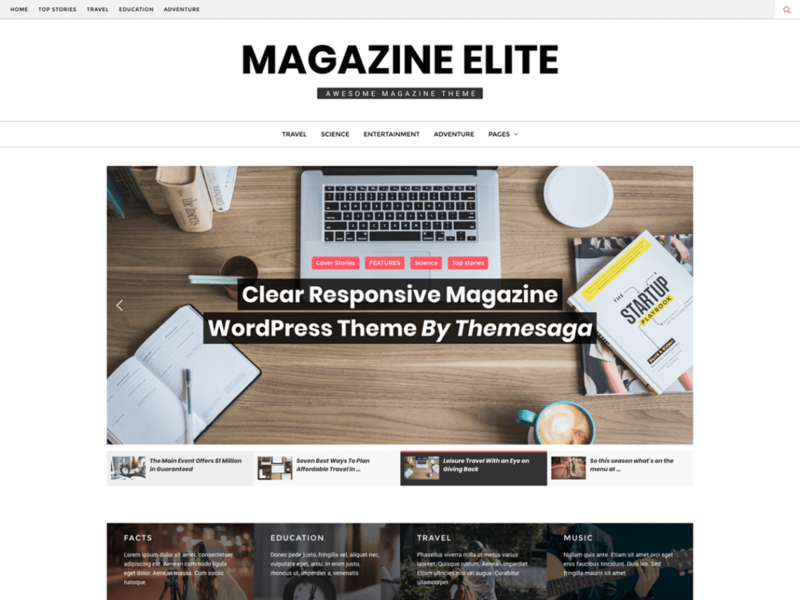 Magazine Elite is clean, simple, modern and elegant responsive theme suitable for any type of news, magazine, entertainment or blog websites. 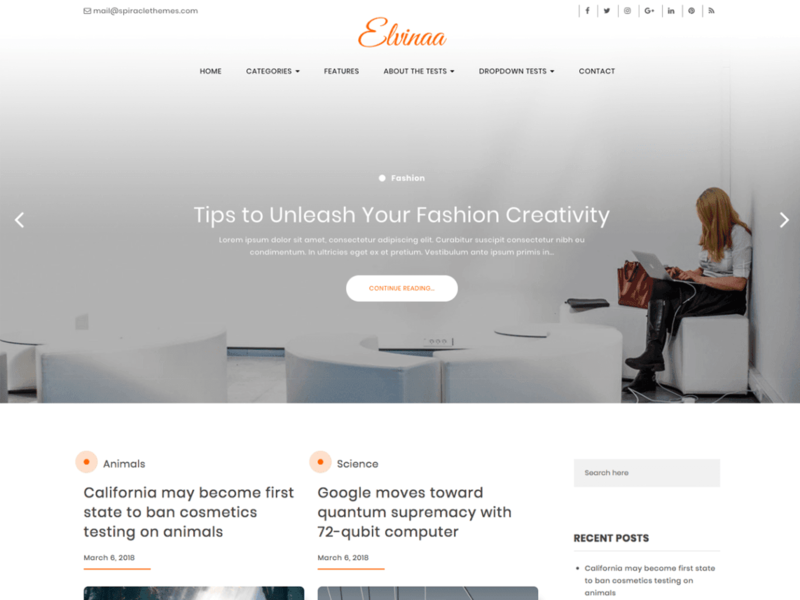 Elvinaa is simple, clean and elegant blog template for bloggers. It has a user-friendly approach that has a minimalist look. It’s perfect for Freelancers, Writers, Photographers, Bloggers, Magazine, News Editorial etc. 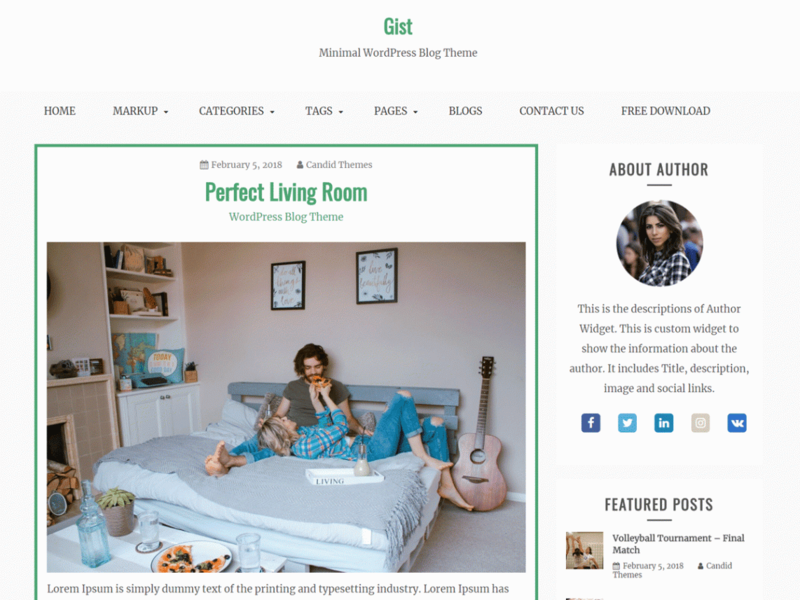 Gist is a simple, easy to use, modern and creative, user-friendly WordPress theme with typography, fonts and color options. In addition, Gist is responsive, cross-browser compatible and child theme ready.